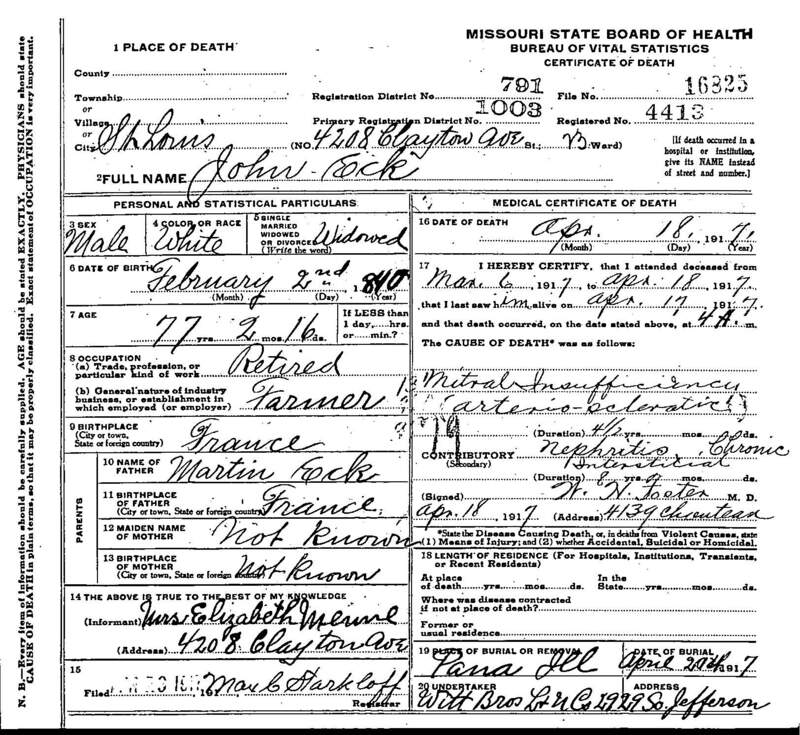 "Death Record - John E. (Sr.) Eck"
Birth location: Alsace - Lorraine, France. Cause of death: Natural Insufficiency - ? . Contributory: Nephritis, ? , Chronic Inte ? . Death location: 4208 Clayton Ave., St. Louis, Missouri. Burial location: Pana, Christian County, Illinois.